Snap Inc., formerly know as Snapchat, revealed the way they are going to sell its Spectacles sunglasses, and it is similar to the Snapchat dynamic. The company is putting yellow machines called “Shopbots” in the United States that are going to appear across the country every day, but only for 24 hours, just like a Snap. The Snapbots will change locations every day and will be the only way to get the camera-equipped $130 Spectacles Glasses. Snap has published an online map to let users now where to find a Snapbot and start snapping videos captured by their Spectacles. The location of the machines will only be available 24 four hours in advance as it happened with the first pop-up. The first Snapbot appearance occurred Thursday in Venice Beach, California, where the company has its headquarters. Once the machine is in a place for a whole day, the Snapbot will change location and people will know where to find it again using the Snap map. The Snapbot is not only a vendor machine. It is an interactive device that has motion sensors that will activate when the circular screen detects someone in front of it. The screen lets users see footage video recorded using the Spectacles to encourage them to buy a pair. 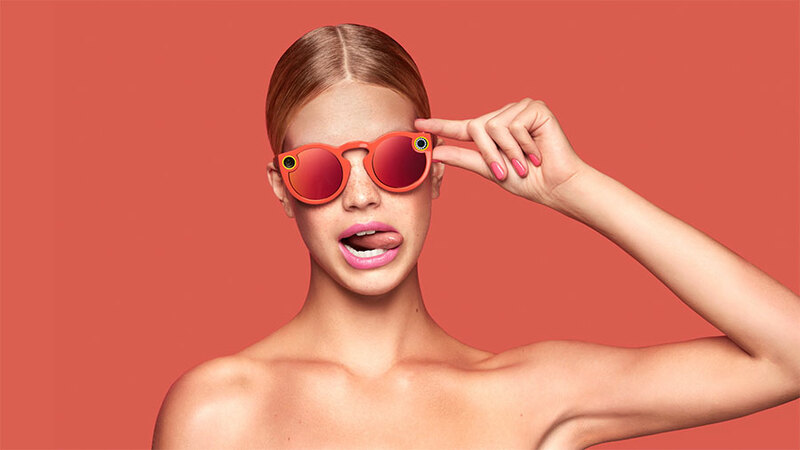 The Spectacles come in three colors, and their integrated camera allows users to record 10-second videos that sync with the Snapchat app. The Snapbot lets you see yourself wearing the Spectacles by pressing the buttons representing the three colors available on the machines: Coral, black and teal). The screen will show you with a Snapchat filter to see yourself wearing Snap’s new product. Getting to a Shopbot is the only way to get the Spectacles, or at least for the first few months, said Snap. And for those who cannot reach the Snapbot, Snap Inc. has a QR code on the Spectacles website that lets you “try” the Spectacles through a Snapchat filter as well. Famous host Ellen Degeneres was recorded using the Spectacles and messing with her crew, scaring some of them, as she usually does. The Ellen Degeneres World Youtube Channel shows Ellen getting Black Spectacles from a Snapbot and immediately she wear the glasses. Ellen activates the camera and starts recording her crew that is amazed and entertained by Sap Inc.’s innovative product. Some of them record Ellen with their cellphones while she is recording them with the Spectacles. The video lets people see how you could look wearing and using the Spectacles. Almost at the end of the footage posted on Youtube, Ellen scares one of the employees of the studio, Tracy, and makes her fall. The prank got recorded by the Spectacles and went to Ellen’s Snapchat history. Tracy is surprised when she realized that Degeneres recorded her reaction and posted it on Snapchat because the glasses she was wearing were Snap’s new product.